Children who are prematurely pushed into regimented academic instruction display less creativity and enthusiasm for learning later in life. 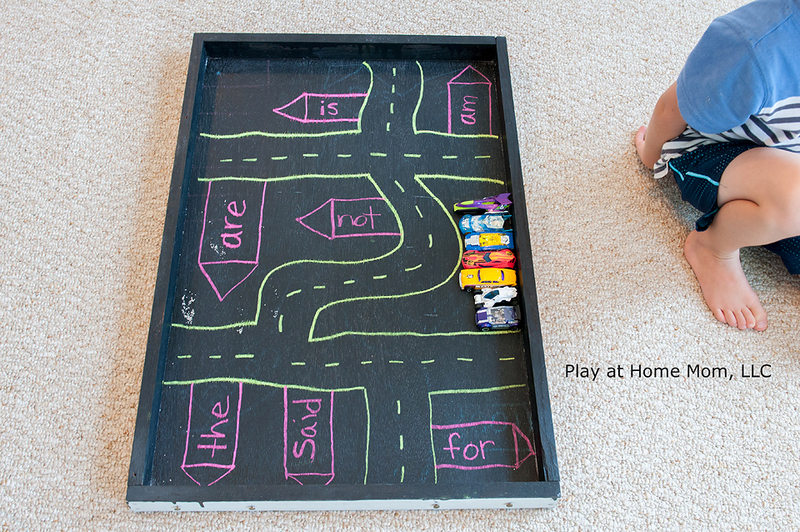 In our home, learning through play does not end when Kindergarten begins. 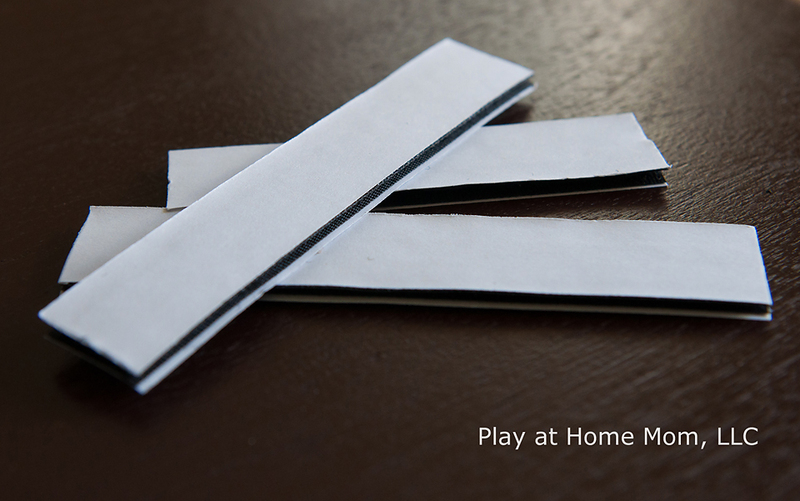 We say no to worksheets, and instead create fun opportunities to reinforce things that are being taught in school. These invitations are visited in my son’s own time. 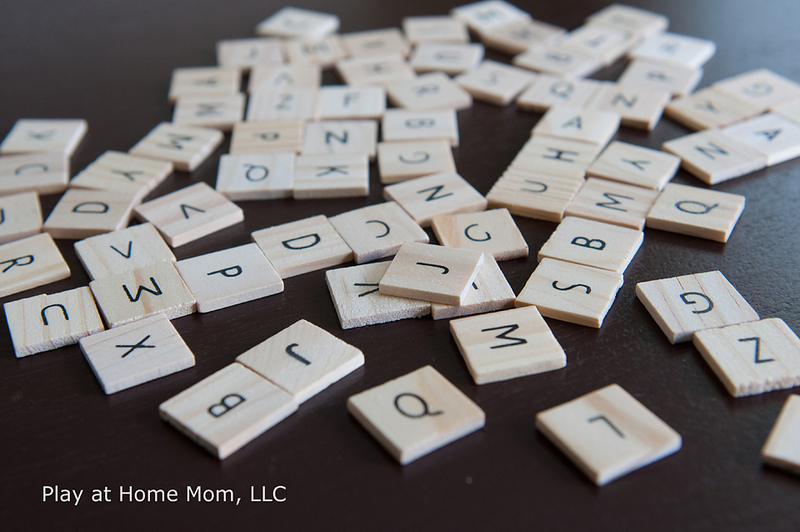 The completion of a worksheet task leaves no room for important skills like oral language, creativity, movement, sensory experiences, problem solving moments, or human interaction. Worksheets are also not representative of a child’s ability to read or comprehend. 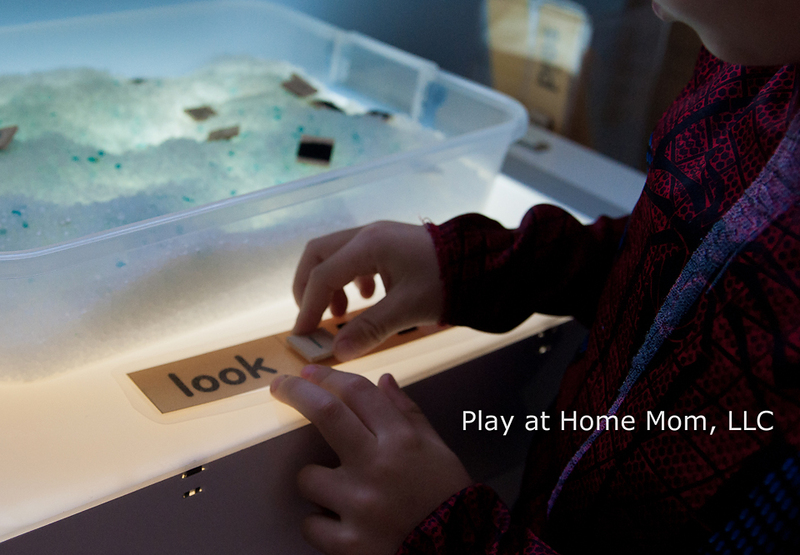 Play-based learning allows children to learn using all of their senses. It allows them the time and space to move their body and the freedom to incorporate their interests. 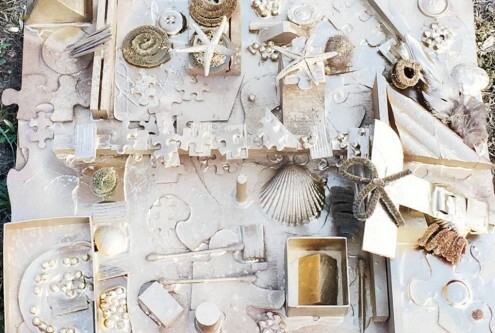 Learning through play is way more developmentally appropriate than having children sit for extended periods of time at desks and tables….completing worksheets. 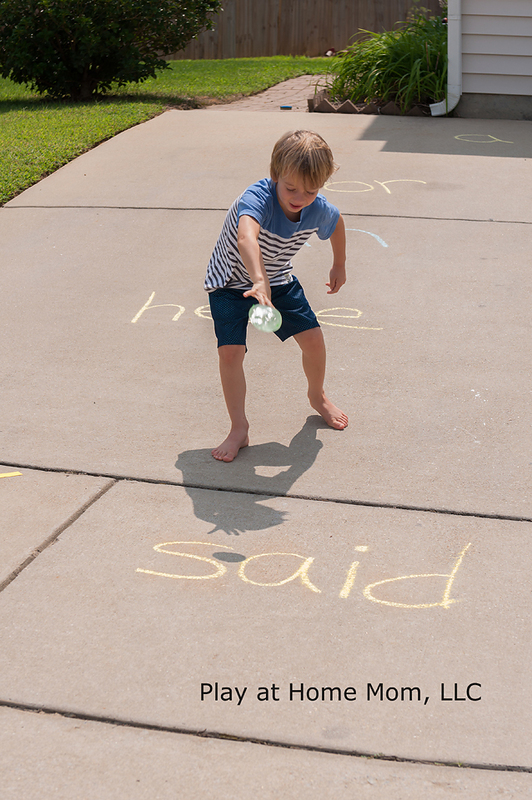 My son was sent home with a list of sight words to learn. 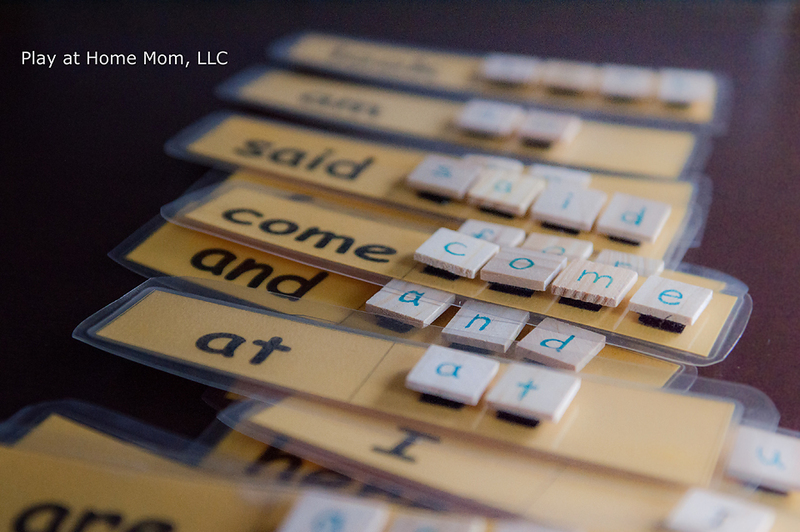 The paper included several table, flash card, pencil/paper suggestions on how to help them learn these sight words. 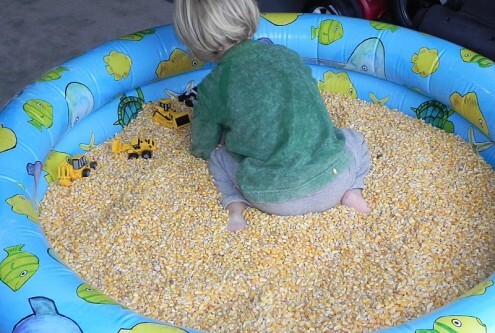 Well, I decided to create my own fun ways – incorporating things I knew he would enjoy. 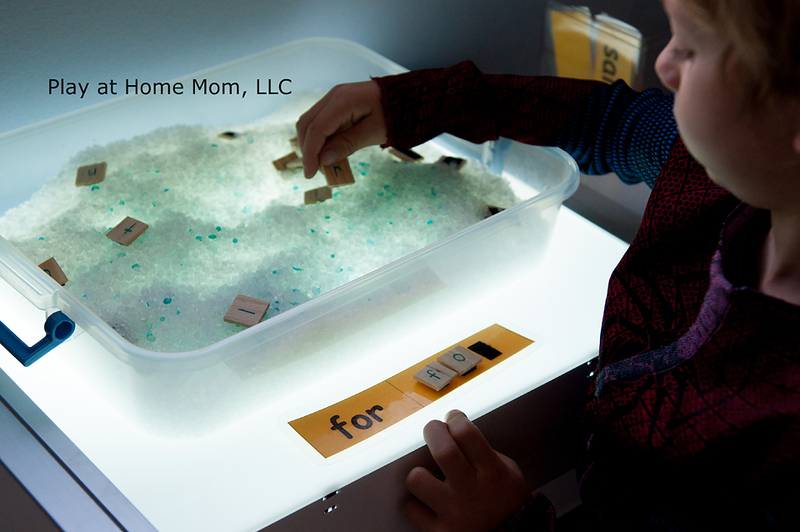 Want to make learning multi-sensory? 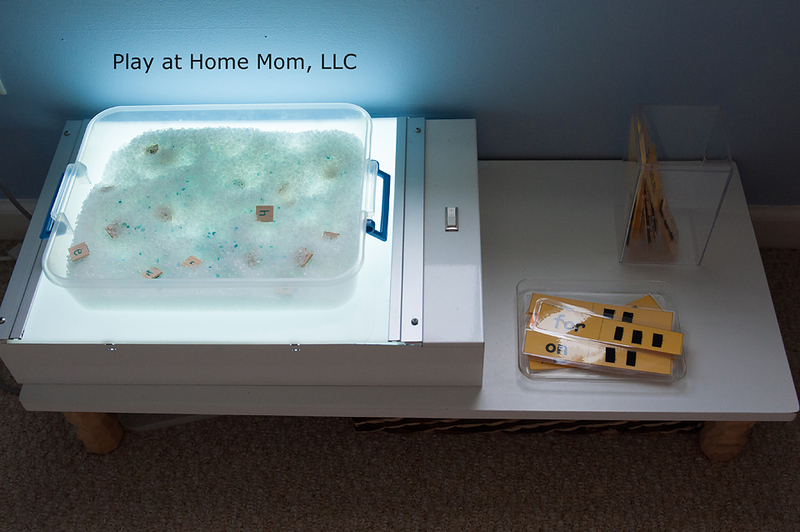 Grab a storage container, throw in something with texture – like the POLY-FIL PELLETS in this activity – and let the fun begin. I purchased the letter tiles from Michaels. I wanted them to be lower case, though, so I just used a Sharpie to write lower case letters on the back of these tiles. I already had velcro, but you can purchase it almost anywhere. 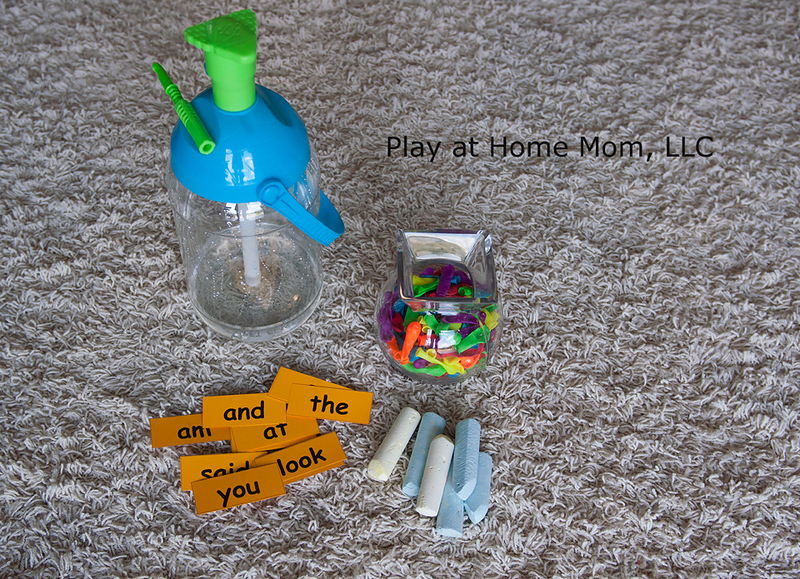 Choose a few sight word cards and hide the letters in the poly-fil pellets. 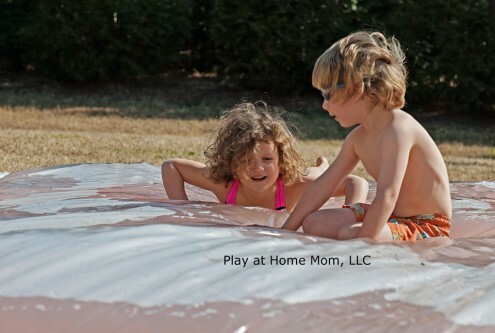 Do you have a child who LOVES to move? Then this activity is for you. You can cater this to ANY need and ANY interest. 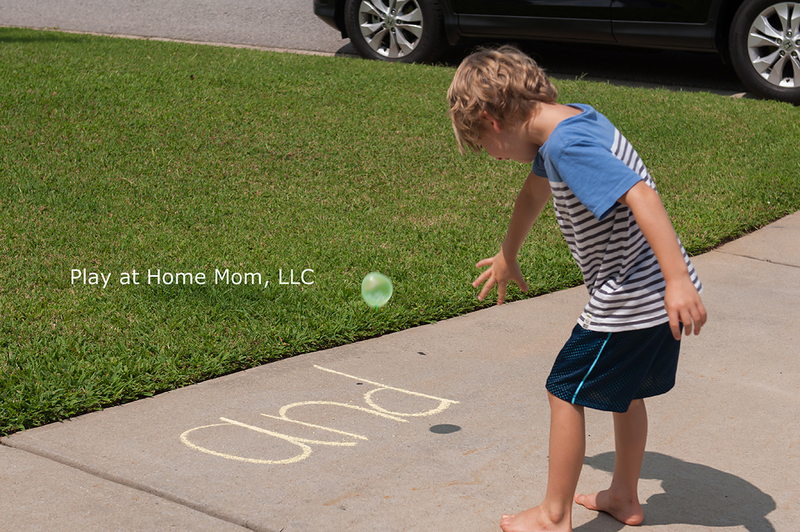 This on is inspired by Rosie’s TNT POST, but we used water balloons and sight words. (For more details, please click on the link to the original post). This was probably his favorite. He played with this several times throughout the day, using a different set of sight words each time. 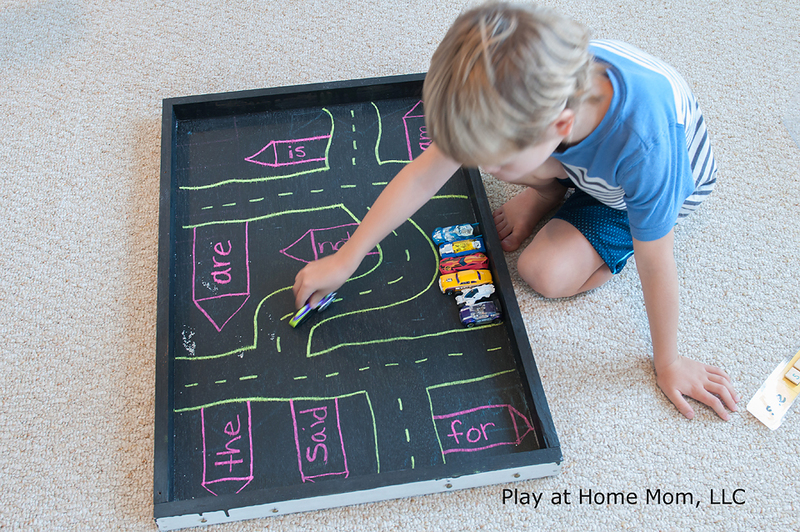 Use chalk to draw whatever road you wish. 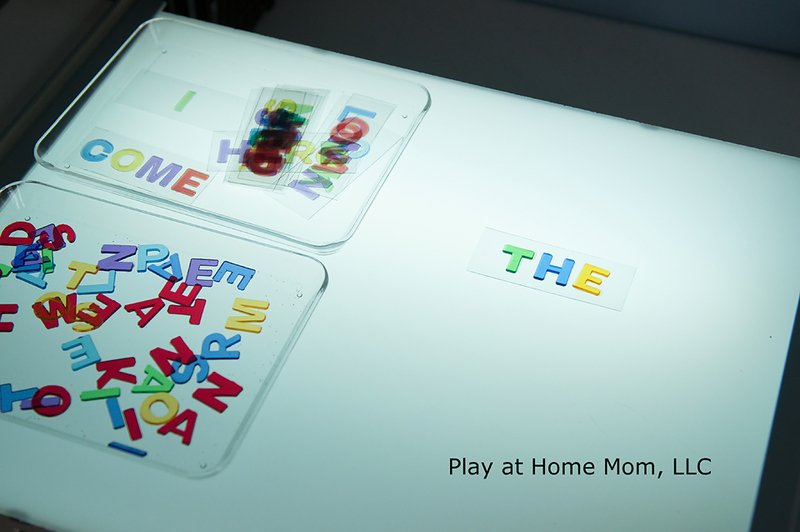 Use whatever skill set is age appropriate or of interest to your child – animals, colors, numbers, letters, shapes, etc. We used his sight words. HAPPY LEARNING THROUGH PLAY IN K!! Found your blog here through Pinterest bouncing bubbles recipe. Now, I’m a subscriber for life! My LO has speech & cognitive delays, finds it Extremely difficult (even w trained teachers & a T.A.) to learn in a classroom environment. My life has been filled w this types of ‘play learn’ activities so I can assist her in ‘catching up’ w pre-K/K (starts tomorrow;() school cirriculum. If I cud afford to homeschool, I wud. 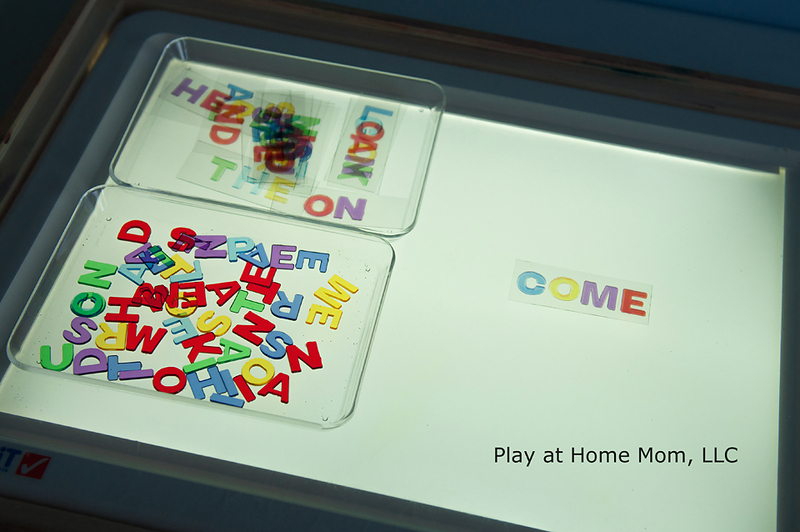 But these are PERFECT for added learning FUN, all at home Look forward to more! Really good ideas, was dreading going through the boring sight word lists sent home from. 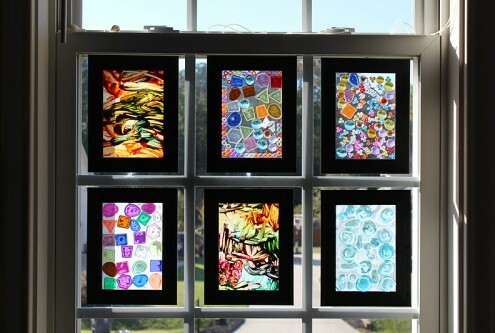 What a great idea to inspire learning. 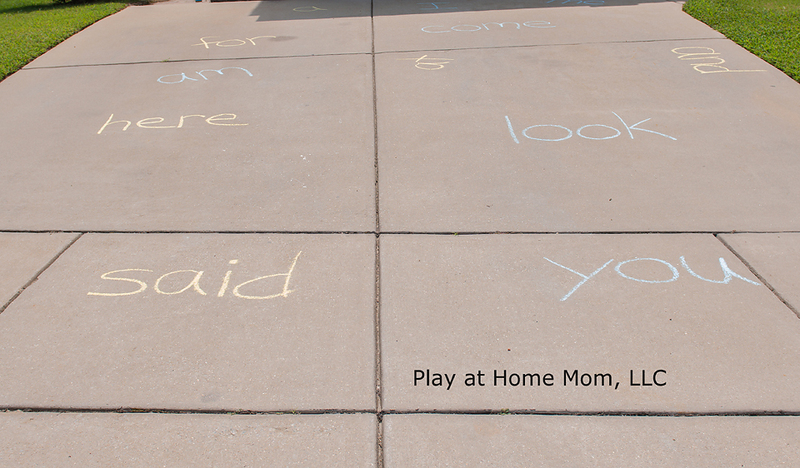 Will definitely use and you have inspired me to create some of my own sight word activities!